Jean-Francois Lyotard is one of the most important, and complex, French thinkers of the twentieth century. Best known in the English-speaking world for his book The Postmodern Condition, the multi-faceted nature of Lyotard's work has often been obscured by its sometimes problematic association with the postmodern. His life refuses to follow the clear trajectory common to academics in France: it stalls and hesitates, with Lyotard's first 'career' consisting of fifteen years of militant Marxist political engagement. 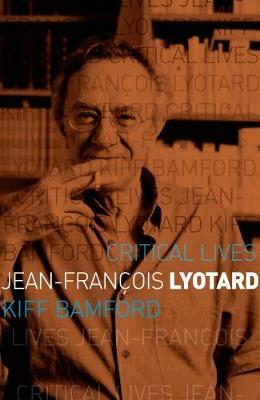 Kiff Bamford traces this circuitous journey, unravelling the thrust of Lyotard's main philosophical arguments, his struggle with thinking and his confrontation with the task of writing and thinking philosophy in a different way. These all take place within a series of very particular contexts: the Algerian war, the experimental university at Vincennes and a sustained engagement with the visual arts. Lyotard's own tentative reflections on his intellectual life help to frame his suspicions of easy narratives and highlight his rejection of 'the delusion that we are able to programme our life'. It is by following these cautions that Kiff Bamford is able to present a compelling portrait of a challenging subject.